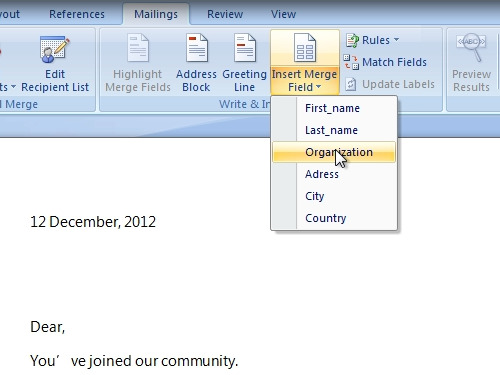 In this video tutorial we will show you how to do excel mail merge. 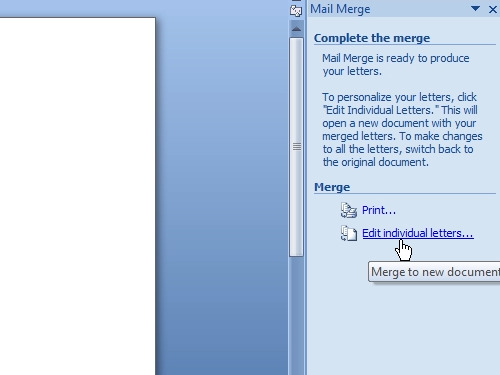 In order to merge mail, open the Microsoft Word document. Go to the “Mailings” tab. 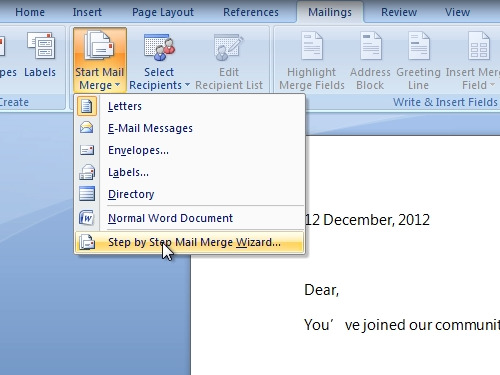 Click on “Start Mail Merge” and choose a “Step by step mail merge Wizard”. 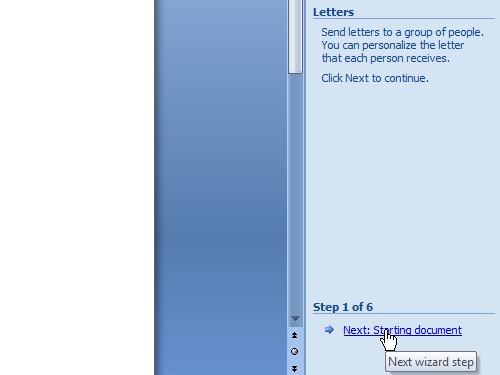 In the 1-st step, choose “Letters” as type of the document and press “Next: Starting document”. to do excel mail merge. In this step select “use the current document” and click “Next: Select recipients”. To make selections in 3-rd step, minimize the word document and open your excel document. Go back to the word document and choose “Browse”. Select your excel document and press “Open”. In the appeared window select the table with data. In the following window check or uncheck mail merge recipients and click “ok”. Then press “Next: Write your letter”. 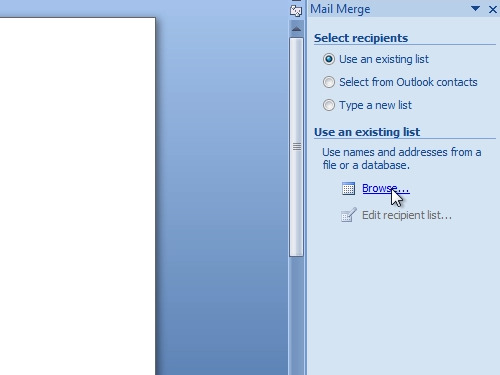 In Step 4 – go to the “Mailings” tab, click on “Insert Merge Field” and choose needed values. Insert it in your document. Next step is “Preview your letters”, click on it. Now you can see your letter with merges. Click on “recipients” to see the results. Then click “Complete the merge”. In the following window press “Edit individual letters”. In the new window select “all” and click “ok”. Now all your letters are placed on separate pages.